Next to controlling devices, Homey can also receive wireless signals from sensors, buttons and, of course, a doorbell. 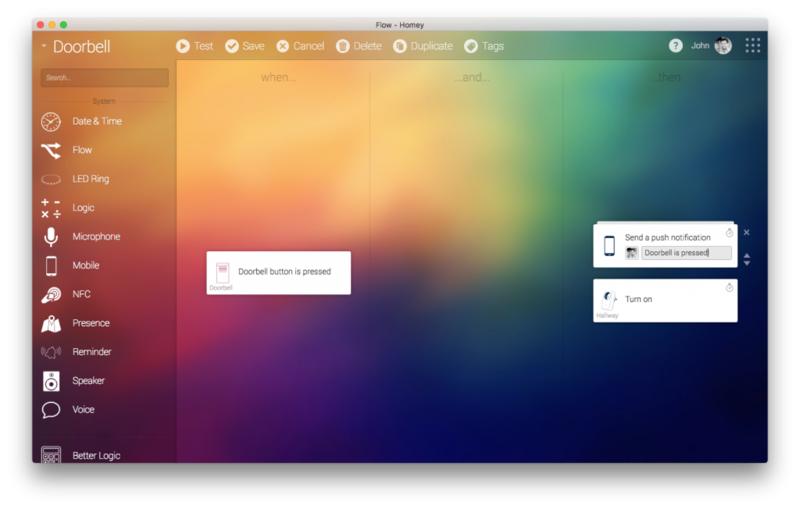 Adding a simple doorbell to Homey is really easy, and allows for powerful and useful scenarios with Flows. 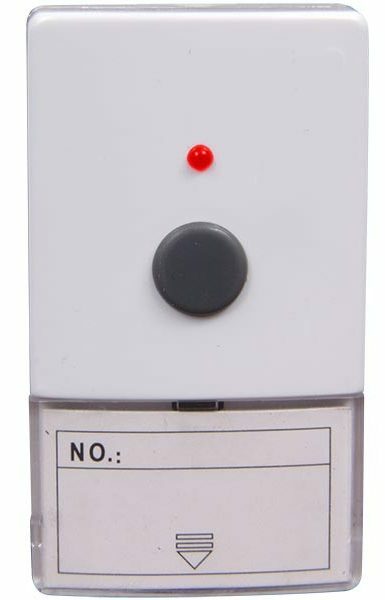 For instance, get notified on your smartphone when there is somebody at the door, or have the lights in the hallway automatically turn on – all with a bell that can be bought for 10 euros already! 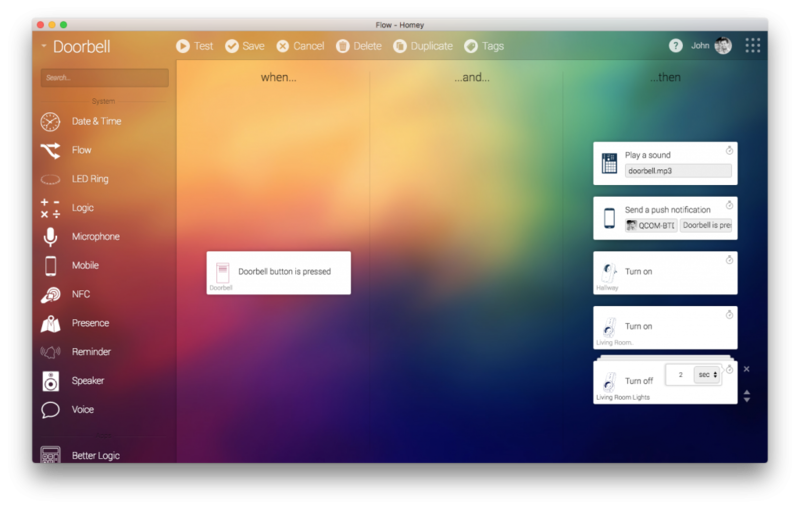 Read on to see how easy it is to add one, and to get started with some handy Flows. 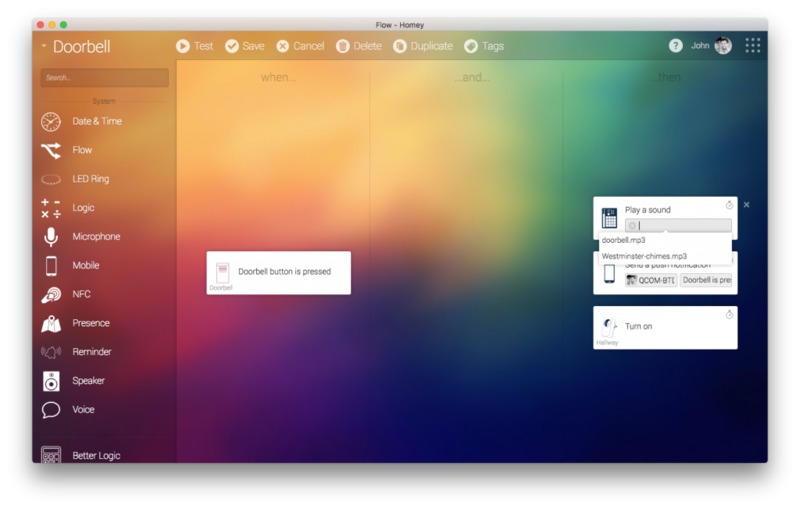 To add a doorbell to Homey, open the Homey Desktop Application and start adding a device. Homey works with different brands of doorbells, including Ring and Alecto. 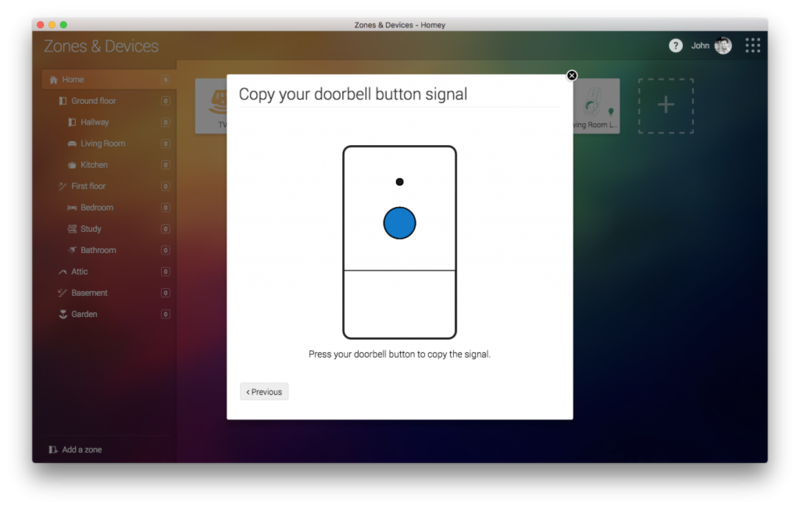 For this example, we use a 10 euro doorbell from Alecto, so we search for Alecto and install the corresponding App. Adding the device is really easy, as we can choose to copy the signal. We add the device by simply pressing it once. We can even let the lights in the living room flash once to make sure we really don’t miss the bell, turning them on, and off again after 2 seconds. This is also a great scenario for when you occasionally miss visitors because you do not hear them ringing. By adding in …and… conditions (like presence) or other actions, we can make our Home(y) do everything at the right bell presses. So go ahead, add a doorbell to Homey and add to the fun! What does your Homey do when your next visitor hops by?